As the farm economy shockingly slid into decline in the 80’s, the Welter family of Monticello made some risky personal and business decisions as they were looking for ways to supplement their income. Change was inevitable and needed to be dealt with. 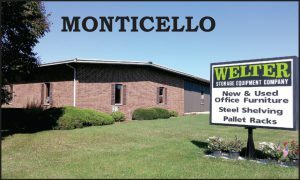 Lloyd Welter felt strongly that there was need in the area for an outlet to handle new and used shelving, pallet rack, office furniture, storage equipment and forklifts. 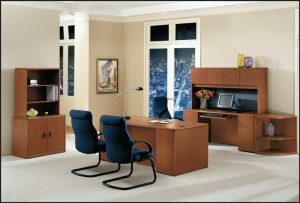 Over time, he knew he had found his niche, particularly in the sale of warehouse rack and office furniture. Arising from meager beginnings at Lloyd and Joyce Welter’s kitchen table, Welter Storage Equipment Co., Inc. is now a three store operation employing over sixty people, including 4 sons: Ron, David, Dean, & Bob. Through the years the business has grown by leaps and bounds. 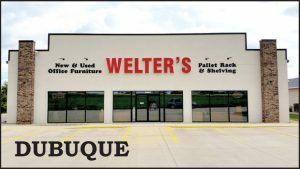 In 1987 Welter Storage moved from their farm to the current location at 1052 South Main Street. In June 1991, they opened a store in Marion and in July 1992 moved that store to its current location at 1945 Blairs Ferry Road N.E. in Cedar Rapids. The Dubuque store opened in 2000 and moved to a new location in 2013 at 4440 Dodge Street. 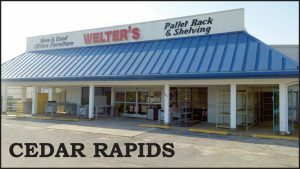 Welter Storage Equipment Co., Inc. sells primarily used and reconditioned equipment acquired through auctions, liquidations, bankruptcies, closeouts, and from companies who are relocating their offices and/or warehouses. Welter generates auto-cad layouts for offices and warehouses, as well as installs racking, shelving, and office work stations for companies. 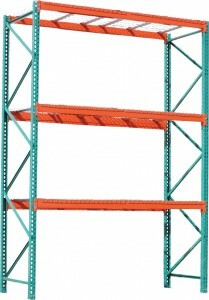 New and used pallet rack, shelving, new and used office furniture are a major part of their business along with mezzanines, forklifts, rolling ladders and workbenches. Welter’s is also an authorized Star Buildings dealer. Literally, the list could go on and on naming all of the various aspects of service and products involved in the office, warehouse, and storage equipment business Welter provides. Lloyd Welter says he has been successful in his operations because of the professionalism of the company’s employees. “Everyone works extremely hard and takes pride in the job they do.” This kind of attitude is essential to the company’s success and the success of the customer. Having started with a 150 mile service area, Welter Storage Equipment Co., Inc. has now expanded and shipped to all of the fifty states. With this track record, Welter Storage Equipment Co., Inc., plans on flourishing in the future, providing excellent personal service and quality products their customers have come to expect.